An abundant field of assorted yellow flowers evokes a summer’s day and warming sunshine, offering comfort and hope during a time of loss. It’s a beautiful tribute to golden memories. 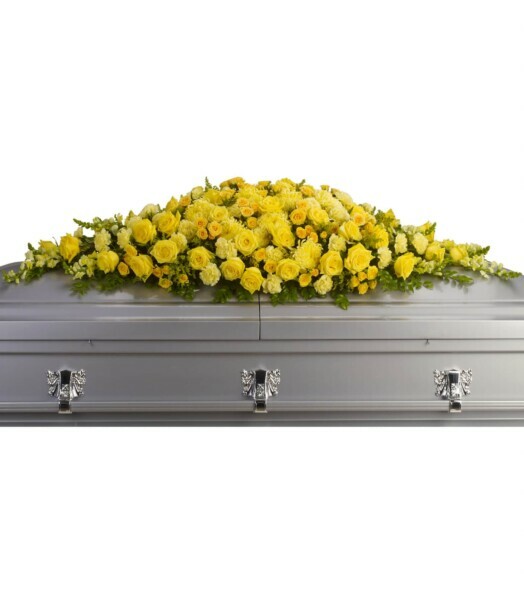 Yellow flowers such as roses, carnations, chrysanthemums, snapdragons and solidago, set with huckleberry and leatherleaf fern create a vivid full-couch casket spray. 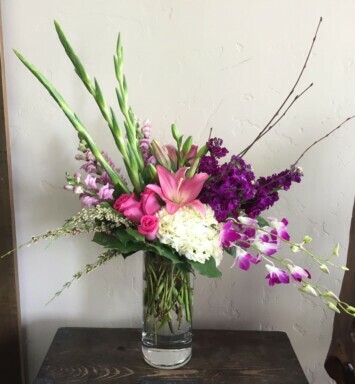 Every arrangement ordered from La Tulipe floral designs is personally hand delivered by us. We offer same-day hand delivery, our cut-off time for same-day delivery is 2:00pm PST. Orders received after our cut-off time will be delivered the following day. Please note that we do not make deliveries on Sunday. If you would like to request a specific delivery time, please type it into the Special Instructions field during checkout. We do our best to accommodate your preferences, but we do not guarantee delivery times. We recommend that you place orders around holidays at least two or three days in advance. 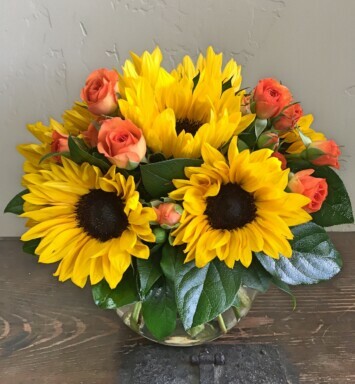 In some instances, our photos may represent an overall theme or look and include a one-of-a-kind vase which cannot be exactly replicated. Although the actual bouquet may not precisely match the photo, its temperament will. Occasionally, substitutions of flowers or containers happen due to weather, seasonality and market conditions which may affect availability. 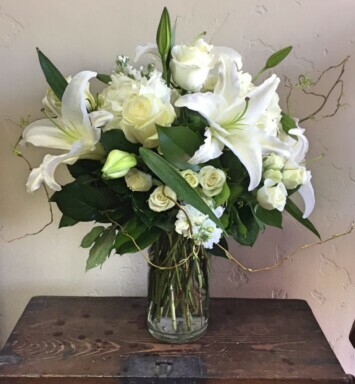 We will ensure that the style, theme and color scheme of your arrangement is preserved and will only substitute items of equal or higher value.